Foxglove, from Tulip Tree Creamery in Indianapolis, is a double cream, washed rind, adorable little square pillow that is quite often in our case. 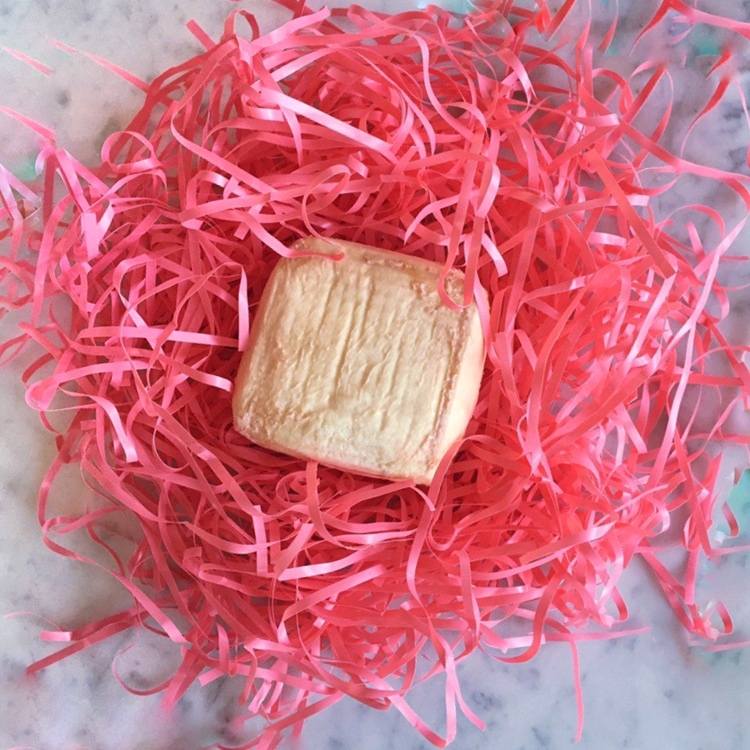 The soft orange-pink rind keeps this gooey, creamy paste safe and tasty until we cheesemongers insist that you taste it and oh-so-delicately cut into the puffy square. At its prime, Foxglove can be the pungent cheese that dares you to jump in with both feet. It’s sweet and slightly stinky, and deliciously creamy, making it a cheese perfect to pair with sweet or savory. With ham being a Spring mainstay, why not make the perfect little bite with Foxglove, French Ham and Dijon Mustard. Paired with a crisp rosé and this is a perfect little afternoon snack for these longer hours of Spring daylight. Enjoy! 1. Cut the Foxglove into 12 slices. Cut the ham in half to make 12 smaller pieces. Spread the cracker with a little Dijon mustard, place the ham, then cheese on top. Spoon another small dollop of Dijon mustard on top.